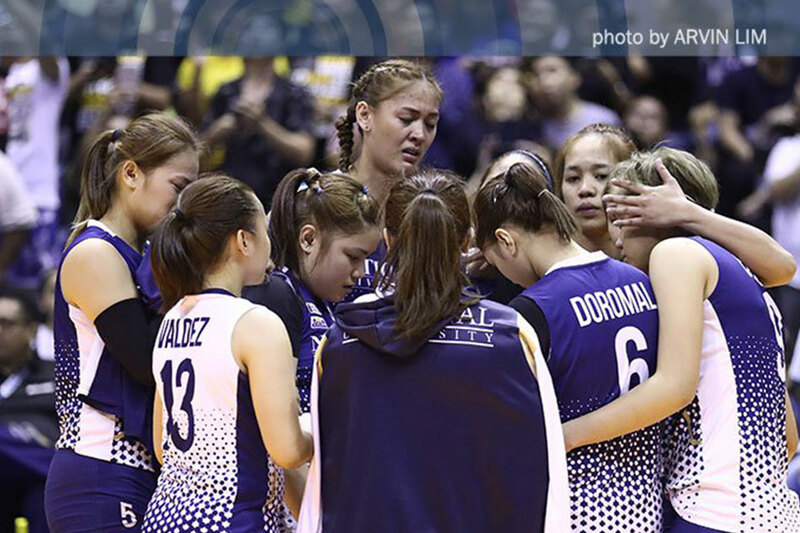 MANILA, Philippines – The National University (NU) Lady Bulldogs will be almost unrecognizable when they step foot in the UAAP Season 81 women's volleyball tournament. 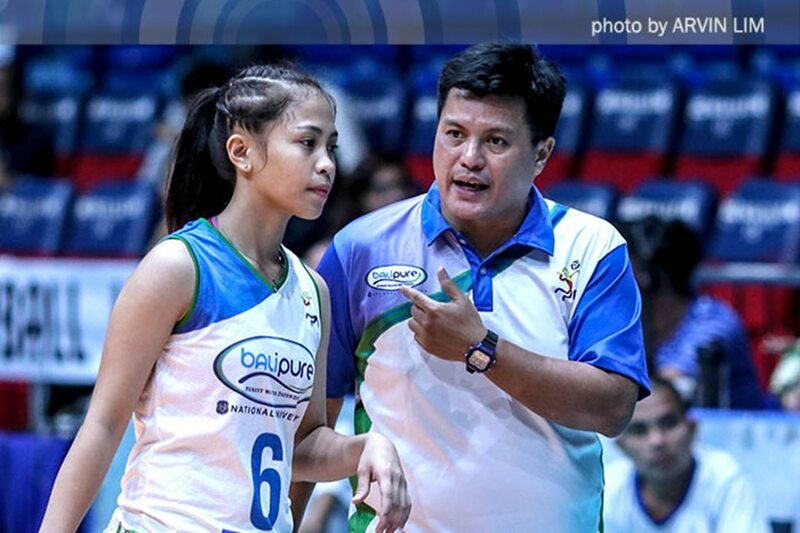 They were already prepared to lose Jaja Santiago, the team's pillar of strength for the past few years, as the middle blocker had exhausted her eligibility years. They also lost another veteran in Aiko Urdas to graduation as well. But losing veteran setter Jasmine Nabor and spiker Jorelle Singh was a surprising development. Then, it was revealed that head coach Babes Castillo would be replaced just a couple of months before the start of the new season, after just one year in charge. To cap NU's dramatic offseason, veteran middle blocker Risa Sato confirmed that she would sit out the year due to academic deficiencies. 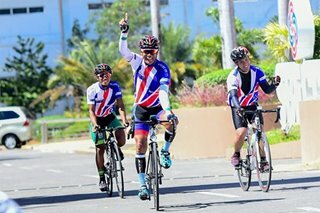 All the changes that happened in the offseason only served to put additional pressure on incoming head coach Norman Miguel, who formerly called the shots for the De La Salle University men's team. It gave more responsibility to their few remaining veterans, including Audrey Paran and also heightened the scrutiny on NU's incoming rookies, several of whom starred for their high school team under Castillo. One of those rookies is setter Joyme Cagande, who figures to have a big role in the team immediately, even with former NU playmaker Rica Diolan making a comeback this year. 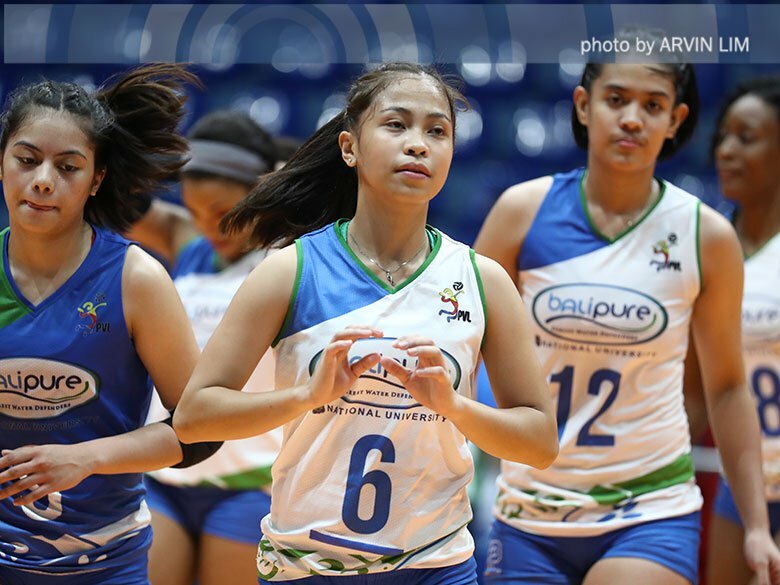 A three-time Best Setter for NU in high school, Cagande admits that she feels plenty of pressure as they rush to learn Miguel's system in just two months. "Actually po, mas mahirap 'yung system na binigay sa amin ni Coach Norman, and mas marami po kaming ginagawa," said the young playmaker, who won Best Setter honors from Season 78 to 80. "For me po, for us, nagtiwala na lang po kami sa binigay na coaches sa amin. There's no other way around naman po eh. Ayun, wala kaming choice but to trust them, and they trust us," she added. Trusting the new coaching staff is a big step for Cagande and her batchmates – among them Jennifer Nierva, Ivy Lacsina, and Princess Robles. All of them were coached and molded by Castillo during their high school days, and they moved to NU's senior team in the hopes of playing for him still. Cagande, a highly recruited prospect, admitted that she committed to the Lady Bulldogs because of Castillo. The coach had steered them to three straight high school championships, and he had a knack for developing young talent. Cagande acknowledged that she owed much of her career to the former coach. "Siya po ang nag-mold sa akin, and he knows me sometimes more than I know myself," she explained. The coach's departure, hence, was a massive blow to Cagande, but she still decided to stay with the Lady Bulldogs. "Wala po akong choice eh. Andito ako sa NU, and good thing I have my teammates behind me, working together. Though may nawala, meron namang darating," she said. Giving Cagande some comfort is that she doesn't have to go through a tumultuous rookie season alone. She is just one of five rookies coming into the NU program, and all of them are expected to make an immediate impact. Of course, Cagande is the one who will be responsible for pulling the strings for the team during the game, while her teammates such as Robles and Lacsina are tasked with contributing on offense. In a way, it will be just like their high school days, says the setter. "Sobrang laking advantage," Cagande noted. "Though kaunti kami, at least we are bonded." "Parang driven na kami, kasi nga magkakakilala na kami before. And hindi na madaling mag-target ng goal kasi nga you know you have the same eye, you have the same vision," she added. The NU rookies already saw action during the Premier Volleyball League (PVL) Reinforced Conference last year, and despite their youth, they showed that they can at least keep up with older, more experienced players. After establishing herself as the top playmaker in high school for the past three years, Cagande is now hoping that she can display her wares against the more established collegiate setters – players such as Deanna Wong of Ateneo de Manila University, Michelle Cobb of De La Salle University, Ayel Estrañero of University of the Philippines, and the Far Eastern University tandem of Gel Cayuna and Kyle Negrito. "It's what makes this exciting," said Cagande. "Mas marami kang opportunity to learn from other people, hindi lang sa sarili mo, and mas mag-iimprove ka pa."